Unwin offers a wide range of floor rail accessories to help with vehicle conversions. 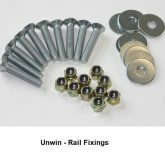 M8 Fasteners are recommended when fitting Unwin Low Profile and Surface Rails and are mandatory on floor installations meeting M1 loads. They are available in bags of 10 or 100. M8 Underfloor Spreader Plates are used with rail fasteners in place of washers. 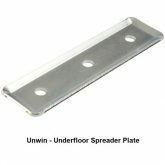 Underfloor spreader plates are particularly useful for angled floor sections or for difficult washer fitting positions. 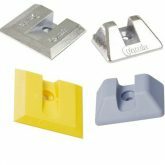 End Caps provide an attractive finish to mounted rails and protect the floor during washing. 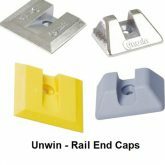 Metal or Plastic end caps are available for both Low Profile Rail and Surface Rail. Rail Trim is designed to keep the rail track clean from dirt. It can easily slide into the rail central channel and can be cut to size to suit customer requirements. 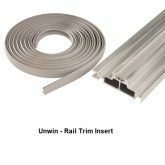 Rail trim is available in 4m and 25m length.